Anyone hear about ASK4 doing anything in the max/ultra/supreme/extreme area? I'm loathed to spend money migrating for nothing, but i don't want to be left behind on a slow* BB provider. I do wonder, given the lack of DR info on their site, whether ASK4 are concentrating more on their direct ethernet network than on the DR network customers? I assume ASK4 will have something in the works. Would be odd that the biggest name (no offence to the other networks on DR) didn't do such a package when the other ISP's are. It'd be nice to see what they're going to offer, and if they get a speed checker up too. Road map will probably be get rid asap if things keep going the way they are!? 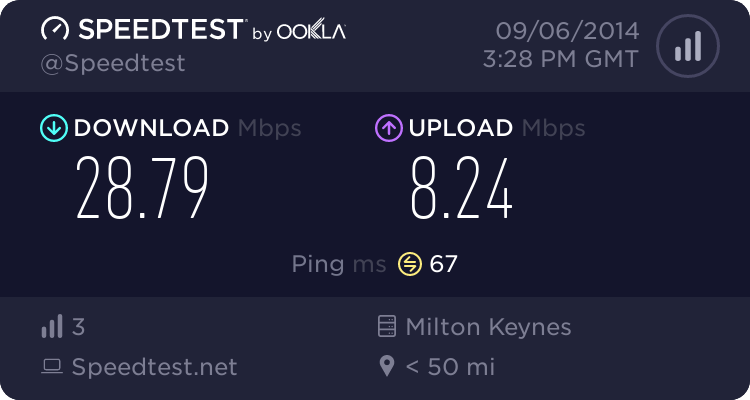 Service is pretty poor from DR/Thales and it reflect unfairly on the ISP, or that's how it seems!? Yes, I think they are probably waiting for Origin and LittleBigOne to iron out all the problems in switching to 17a before announcing anything. If any ISP were to have the infrastructure to handle 100Mbit I would think its Ask4. 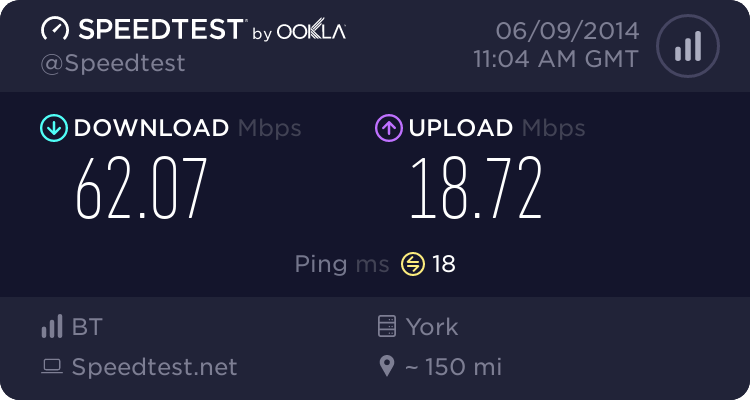 I believe they were the first network to lay fibre around Sheffield (long before Digital Region) and their primary service from the start has been plain ethernet connectivity between 50-100Mbit. So you confident ASK4 will follow suit with a 100mb variant too? I don't think I really know enough about Ask4 to say that. I would be surprised if they didn't though. You have to remember as well that Ask4 have a fair number of resellers of their services, and it's those resellers they seem to be letting do their selling rather than selling directly (more related to another thread than this one). As for our network, there's more than enough capacity as Karl points out!